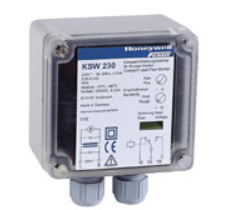 FEMA KSW Air & Liquid Flow Switch - HONEYWELL-Honeywell-Fema - Honeywell,Micro Motion,Rosemount-Shanghai Wanchang Industrial Co.
KSW series is highly reliable, compact electronic flow switches are designed for detecting the flow of water and/or air in ducts or pipes. As soon as the medium's flow speed rises above or drops below a customer-selected value, the device switches an electronic circuit. No moveable parts in the detection zone. Can be mounted directly to pipes and ducts. Immersion well also used for mounting the device. Highly resistant to pollution and corrosion.